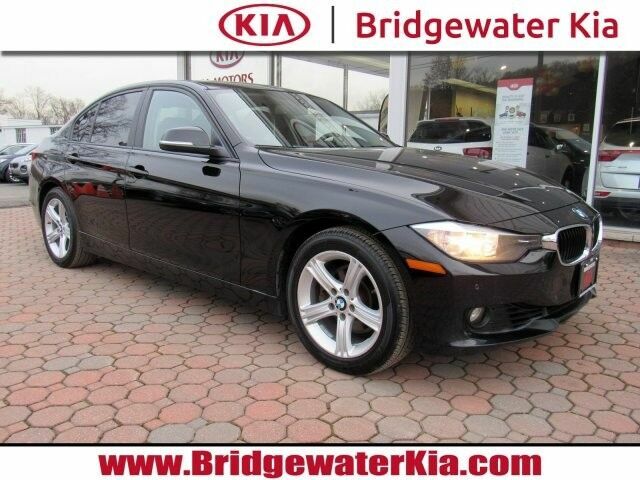 2013 BMW 328i xDrive Premium Sedan, Jet Black Exterior over Black Dakota Leather Interior, ORIGINAL MSRP: $45,650.00, FACTORY OPTIONS INCLUDE: Premium Package (Originally $3,100), Comfort Access Keyless Entry System, Lumbar Support for Front Seats, Power Tilt/Slide Sunroof with Sunshade, Navigation System (Originally $2,150), Park Distance Control (Originally $750), Rear-View Camera (Originally $400), Heated Front Seats (Originally $500), BMW Apps (Originally $250), VEHICLE HIGHLIGHTS: Comfort Access Keyless Entry with Push Button Engine Start, Voice Activated Navigation System with Color Monitor, Dynamic Cruise Control, Rear-View Camera with Parking Guidance Display, AM/FM/Satellite HD Radio with In-Dash CD/MP3 Player, iPod and USB Adapter, Hi-Fi Premium Surround Sound System, Bluetooth Hands-Free Wireless Smartphone Integration, BMW Apps, BMW Teleservices, BMW Assist with Bluetooth Technology and USB, Multi-Function Leather-Wrapped Steering Wheel with Audio/Cruise Controls, Tilt/Telescopic Steering Column, Leather-Wrapped Gear Shift Knob, Heated Power Adjustable Front Leather Seats with Lumbar Support and Driver Seat Memory, Split Fold-Down Fold-Forward Leather Rear Bench Seat, Tinted Glass Power Tilt and Slide Sunroof with Sunshade, Dual-Zone Front Automatic Climate Control with Air Filtration, Satin Silver Matte Interior Trim with Brushed Aluminum Interior Accents, Auto-Dimming Interior Rear-View Mirror, Ambient Interior Lighting, Garage Door Opener, Automatic Halogen High/Low-Beam Headlights, Programmable Daytime Running Lights, Halogen Free-Form Front Fog Lights, Adaptive Brakelights, Auto-Dimming Heated Power Exterior Mirrors with Turn Signal Indicator, Rain Sensing Windshield Wipers, Ground-Illuminating Lights in Door Handles, 2.0L 214 HP BMW Twin-Power Turbocharged 16-Valve 4-Cylinder Engine, 8-Speed STEPTRONIC Automatic Transmission with Driver Selectable Mode, BMW xDrive Full-Time All-Wheel Drive System, Stainless Steel Exhaust with Chrome Tailpipe Finishers, 17" Star-Spoke Aluminum-Alloy Wheels with All Season Tires, GUARANTEED Financing for All Types of Credit! Extended Warranty Available. 2.0-liter BMW TwinPower Turbo inline 4-cylinder 16-valve 240-hp engine combines a twin-scroll turbocharger with variable valve control (Double-VANOS and Valvetronic) and high-precision direct injection.